* LaTonya Holmes knows a thing or two about triumph and on her revealing new single “Things Change,“ the actress and singer who cut her teeth in legendary Broadway musicals like The Wiz, Dreamgirls, and The Color Purple, has placed her flair for story telling on full display. This time, however it’s her own story, one of triumph and self-love which fuels her independent artist spirit. 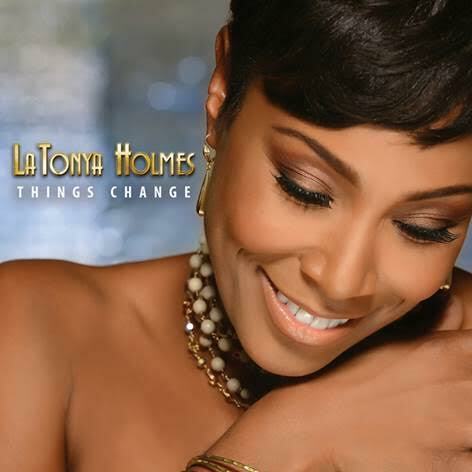 Produced by Myron McKinley (Earth Wind & Fire, Howard Hewett) “Things Change”marks a soulful turn for LaTonya with powerful vocals which draw upon her southern roots in Georgia. Holmes is a constant presence in advertising on the small screen. In her national spot for last year’s launch of the Mazda Miata roadster, she portrays the female half of a happy glamorous couple, complete with sunglasses and silk headscarf blowing in the wind. Her real life, however was anything but happy and glamorous as she was in the process of terminating a long term relationship. LaTonya shares “‘Things Change’ came to me one night, waking me out of my sleep at 4 in the morning. I went on my balcony and wrote it right then.” she continues, “What I want listeners to take away from the song is you can’t hold everybody else accountable for things that change.